Over the past three years, I have been so incredibly blessed to be a part of an organization that has made such an impact on so many children and families. In a family's darkest times, THON has given them hope. It has been a safe haven for kids to just be kids. Throughout my time on Rules and Regulations, I have recognized the need to provide a safe environment for families, THON Volunteers and all other supporters. This environment is not only necessary at our events, but also in our fundraising methods. I wanted to be a Director to use my knowledge and experience to better the Rules and Regulations Committee and THON as a whole. In my short time at Penn State, THON has changed my life. I can only hope to give back to this organization for the incredible experiences it has provided me. I am so humbled to have been given this position and hope that together, we can look toward a future with more birthdays, more smiles and more laughs. What are your main duties as the Fundraising Safety Director for THON 2019? 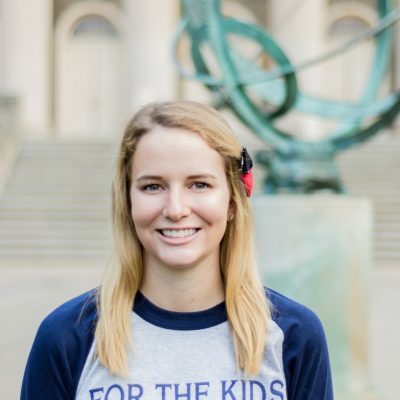 As the Fundraising Safety Director, my main roles are to oversee student fundraising activities, maintain a safe fundraising environment for all volunteers, and lead over 1,000 committee members toward creating a safe and fun environment THON Weekend, along with the Event Safety Committee. Alongside 19 Fundraising Safety Captains, the Fundraising Safety Committee is responsible for facilitating DonorDrive, Alternative Fundraisers, Donation Boxes, and many other student fundraising activities. The Fundraising Safety Captains deserve all the credit for the day-to-day operations of this Committee. In my role, my main focus is to create connections with professional contacts and Organizations, as well as provide the captains with the tools they need to be successful, to ensure that THON's fundraising model is sustainable for years to come. After experiencing three THON Weekends, it is so hard for me to choose a favorite memory. However, one that sticks out to me is from THON 2018. Last year, I had the most incredible committee. Their passion and dedication to the cause made it impossible for me to give them less than 100% every week. During the Final Four hours, they were together in the stands after their last shift. I had a free minute so I went to stand with them. When I saw the sense of community that existed between them and realized how much they had accomplished that weekend and throughout the entire year, I was so incredibly proud. This moment is one that I will never forget. It is the moment that I realized that it is the people we meet and the relationships that we build that have made THON possible for almost 50 years.